How to disable pause for your video? Your audience can be easily distracted, so you might want to Disable Pause in your online video in order to keep your viewers engaged. 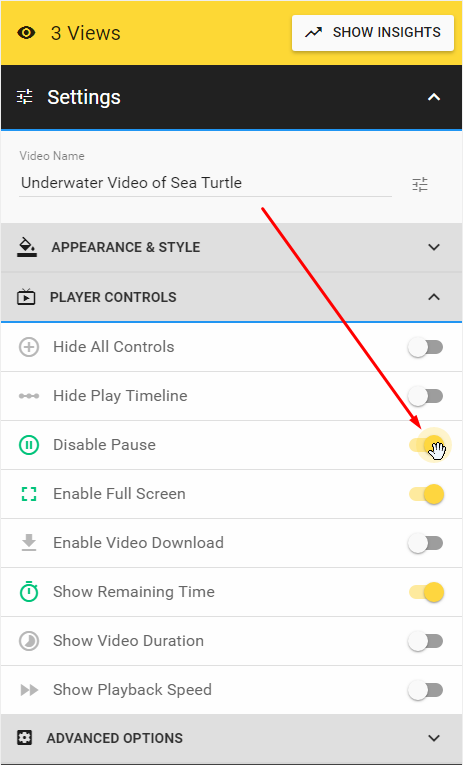 The Disable Pause switch is located under PLAYER CONTROLS. Just turn the toggle on and visitors will not be able to pause your video.